Al Pritchatt begins humbly by saying that he and others there are "just ordinary people" and he feels unsure that Woods and Greene would want to hear from him. Dr. Marshal helped a number of ordinary people come through in the seances so Woods and Greene could record a range of different people in the afterlife, helping people on Earth learn more about the other side. I know, I remember my reactions very well at the time of First World War. Oh dear, oh dear. I thought, well If there's a God, he'd never permit all of this, and as for the church, I thought, well, the less said the better. I've changed a good bit since then. There's nothing wrong in a sense with the church. The point is they've got a great truth and they've never known quite how to handle it. They ought to sort of bring it out to the people to give them that sort of realization and conviction that they should. If you follow the teachings of the Lord, the simple truths that he taught, it'd be an entirely different matter. You can't have the sword in one hand and the Bible in the other, can you? He said the First World War put him off of religion forever. I don't hold with wars and anything like that. Of course, that's the thing that really gets me, you know, with the church. I suppose I shouldn't be prejudiced, but so many of them with the sword in one hand and the Bible in the other, blessing the flags and blessing the ships and blessing the guns and blessing the boys, telling them they're fighting for right and all the rest of it. Anything that takes life or anything that's premeditated and organized mass murder is to my way of thinking the wickedest of things. How any Christian as such can uphold it or support it or in any way have anything to do with it is beyond me. I'm of the firm conviction that if the church, if the churches really came out with what they know fundamentally is the truth and say it is wrong and wicked to take life, I don't think there could be wars, quite frankly, because I don't see how there could be if all the Catholics and all the Protestants and all the other "isms" all banding together and saying that it's absolutely wrong and against all the teachings of the church and the teachings of Christ, I don't think you could have a war. He wishes he could do something about the fact that when people are flung over into the afterlife suddenly, they're bewildered. If people on Earth understood death, they wouldn't have such a shock. That, he explains, is the reason he comes to seances such as Leslie Flint's seance. Pritchatt then explains what happened when he died. He says that he was in the WWI trenches under heavy bombardment and they were given the command to "go over the top." 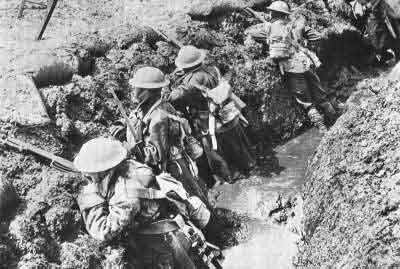 He went out of the trench and kept running forward, but the Germans were running past him and they didn't seem to see him. He jumped into a shell hole, crouched down, and went to sleep. He woke to see a bright light in front of him, as if the whole place was illuminated. He had difficulty looking at it. All of a sudden, he saw a shape appear, the outline of a human being. Gradually, it took shape and he could see it was a friend of his who had been killed in battle months before, Billie Smart. They looked at each other and he felt a "merging" between them. He got up, but didn't feel stiff and awkward. He said he felt as light as a feather. He went towards Billie Smart as though a magnet attracted him. Billie was full of life with wonderful color in his face. Pritchatt had forgotten that Billie was dead, and then realized it. Billie held out his hand and he though it was odd to be shaking hands with someone who was dead. Billie said, "Nothing to worry about. You're all right mate. Come on." Pritchatt took his hand and felt a floating sensation and felt like Peter Pan floating in the air. He thought, "This is a funny dream." Gradually they went higher and higher. He could see in a distance the battlefield, the guns, the light, the explosions. He felt like he was in a peculiar dream. The next thing he saw was a big city with luminous building. The glow he saw in Billie Smart, the buildings, and everything in the environment was the same. They walked along a long avenue with beautiful trees lining the avenue. Between the trees were sculptures. On the sidewalk, people were going about in "most peculiar dress" like Romans or Greeks. There were beautiful buildings, with mostly flat roofs. He saw several people on horseback riding. Billie was talking. He said, "You know what's happened to you. . . . You've had it chum. You're dead." Pritchatt couldn't understand or believe that. He felt he was dreaming. They went up the road to the city. On top of a hill was a beautiful white building. Billie told him some of his old friends were there. It was a "reception station," like a hospital. They went into the building and everyone was dressed the same as normal people. Outside, it looked like a "temple place," but inside it looked very natural. It was a tranquil place with many rooms and lots of light, but without a sun. People were sitting around talking, but there were no beds. Everyone was bright and cheerful. Some were eating, which he thought was odd if the people were dead. Billie told him that when people come there, if they feel it's essential to eat and drink, they can. It would help them to feel comfortable. He sat down and the people at the table said, "Hello, just arrived?" They said they knew he was coming. "We have our scouts out to help us." The person speaking said he'd been there only a few days himself. He said it was much better there than they used to tell people down on Earth, about Heaven and Hell, the last trumpet and all of that. "They got it all wrong. All the business about if you're very good you go to the top story and if you're bad you go into the cellar, they got it all wrong, Mate. Here we are just as we were." He said tomorrow he was going to see his grandparents. "Where are they," Pritchatt asked. The man explained that they're on the same plane, but further out. Not in miles. There isn't distance the same way it was on Earth. His guide was going to take him there. His guide had the job of escorting him and learning about his people. The man explained that he and his guide would go to see his grandparents by "floating" as Pritchatt had to get there. The man said some people are difficult to deal with when they first come, but Pritchatt was doing well. Pritchatt said, "The best thing to do is to follow instructions. After all, you never know who's going to be judging on you. According to what the Bible said and what I understood, you got judged." The man replied, "Get away from that. No one judges you here. You judge yourself. I've been reflecting on the past. I'm gradually beginning to see. There's no such thing as judgment. You judge yourself with your conscience." The man explained about the leaders who caused the wars. Those people, he explained, are just a handful, but "You've got things on your conscience, mate, but when they come, they're going to have a lot on theirs. They're the ones responsible for putting us in this position. They're the ones who've got something on their conscience, and when they come here, I wouldn't want to be in their darn shoes." The man said the others sitting there had recently come over and were thinking it all out. He said they're worried about their people on the other side. "Good God," Pritchatt said, "I forgot all about them." The man said Pritchatt could go back to see them. Pritchatt said he would like to find out about them. The man said one of the fellows in charge could arrange it, but that would just make you miserable because they wouldn't know you were there. He remembered the Germans running past him. Eventually, Billie Smart came over to him and took him out. They walked along a street with beautiful houses and flowers he'd never seen before. They came to a square with a beautiful fountain and beautiful music playing. He saw people with "robe business" on. He was a little bewildered. He sat down under a beautiful tree with beautiful blossoms on it, listening to the music, and was "sort of carried away." Billie said, sit there and listen. I'll leave you here for a while. Pritchatt sat for a while listening to the "lovely music," and sensed someone sitting next to him. He looked and there was a really beautiful lady, blonde hair, fair, looked about 19 or 20. She called him by name, which amazed him. She said, "Are you finding it all very nice here?" He replied, "Yes, it's all very fine Miss." She said, "You don't have to call me 'Miss.' Don't you know me? My name is Lily." Pritchatt said he didn't know any Lily. She said, "I'm your sister. I died when I was an infant." She then explained that Pritchatt was going to live with here. She was going to look after him. And so he went to live with here and settled into the afterlife.